The following are five of my favorite pictures that I took during Star Wars Celebration IV in Los Angeles in May. 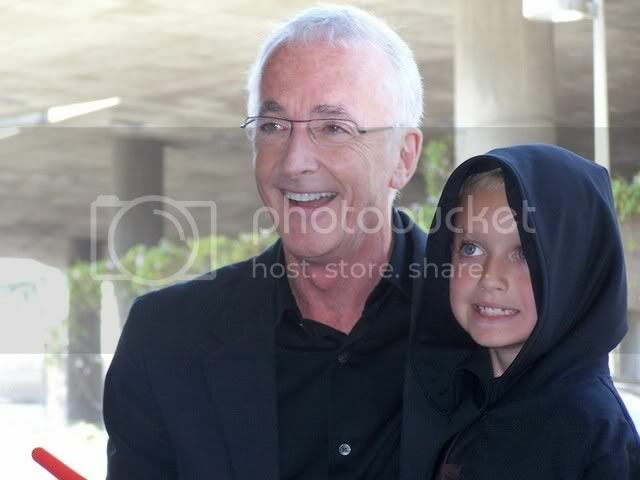 While waiting in line on the very first day of the convention, who just happens to walk by but Anthony Daniels (C-3PO)! What a great surprise. Mr. Daniels started from the back of the line, chatting briefly with fans and pausing for the occasional picture. 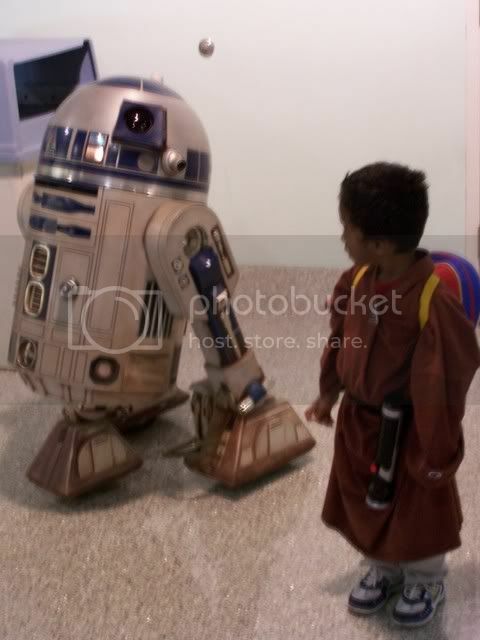 The kid in the picture was in line with his family and dressed as Anakin/Vader. While the young man has a very cute smile, he was really scary when he did his serious-Vader pose. I saw some very cool costumes while at Celebration IV, but this "Rainbow Padmé" outfit really took the cake, especially since the lady wearing it actually looked like the character. The perfect hair went a long way into making it look convincing, too. 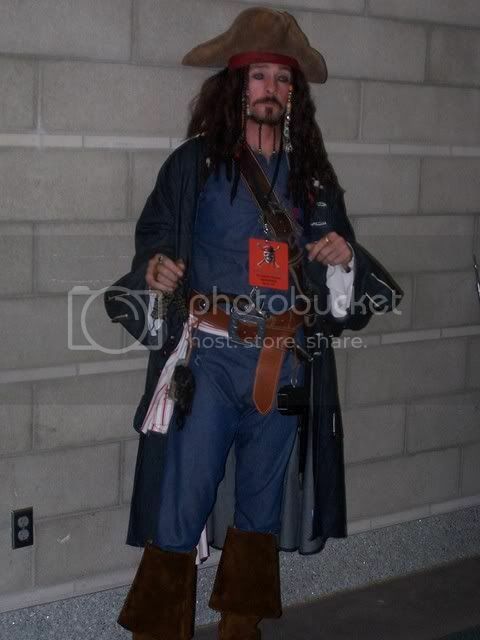 Can we say enough about how cool Jack Sparrow is? Two years ago at Celebration III in Indianapolis, this guy showed-up dressed in a stormtrooper costume, but instead of wearing a helmet he made himself up to look like everyone's favorite Pirate of the Caribbean from the neck up. This time he just showed up in full costume (although he would appear in a better costume than this one later in the week). The guy had the act down pat and knew exactly where the camera was at all times. I thanked him after I took this picture and he came back with a dead-on "Don't mention it" before turning his attention to another of the swarm of girls wanting to get their picture taken with him. Me and handmaiden_yane. Okay, technically I didn't take this picture (credit for that goes to handmaidenande) but it was taken with my camera. 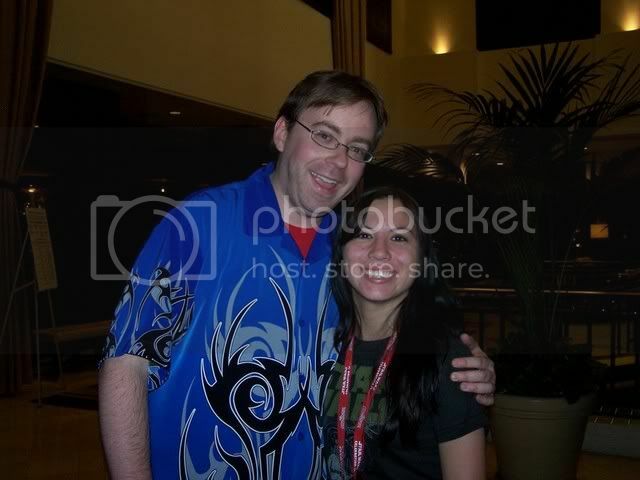 The poor girl was so distressed that she didn't get a picture of me at Celebration III (there was no film in her camera) that we made it our mission to get one taken together as soon as we met at C4. 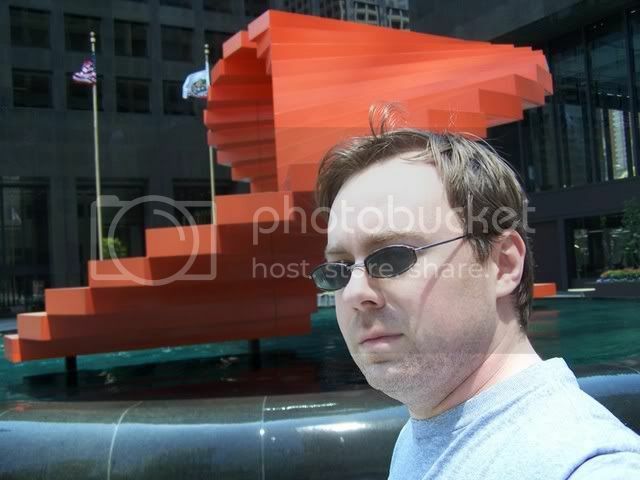 Me again, this time in front of a fountain that was used as a location on the final two episodes of Heroes this season. I was taking a quiet walk through downtown LA on the last day of the convention when I unexpectantly stumbled upon the location. If there was ever a moment that I felt like a total fanboy, this was it. I couldn't have been more excited if George Lucas had walked up to me at the convention and said "Kevin, I like your work. How would you like to write for the new Clone Wars cartoons?" Okay, now that's just a total lie, but I think you get my point. I so wish that this photo would have come out better. It would have been a really cute picture if it hadn't been so fuzzy. I'm still learning how to use my camera to its fullest potential, so I'll chalk this up to operator error. 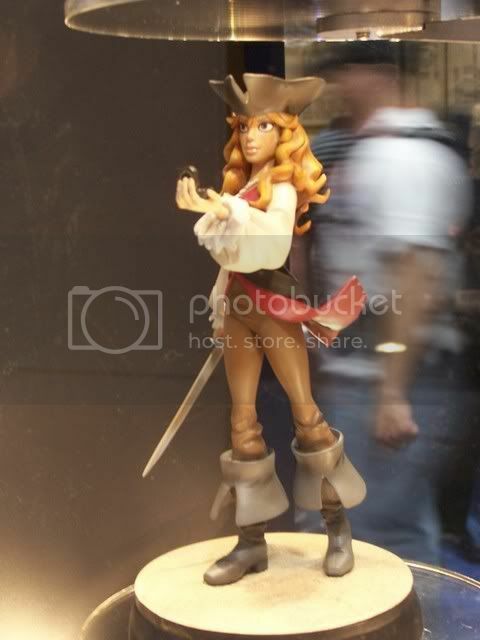 Only 1000 of these will be available when it goes on sale in October ($80), this sculpt of Elizabeth Swann from Pirate of the Caribbean: Dead Man's Chest, was on display at the Gentle Giant booth. This is a prime display of how my inexperience with my camera worked to my advantage because while the statuette is still and in focus, the background is blurred, eliminating distraction and helping to draw more attention to the sculpt. You look pretty much how i thought you would look like!